The week started icky and gloomy again. 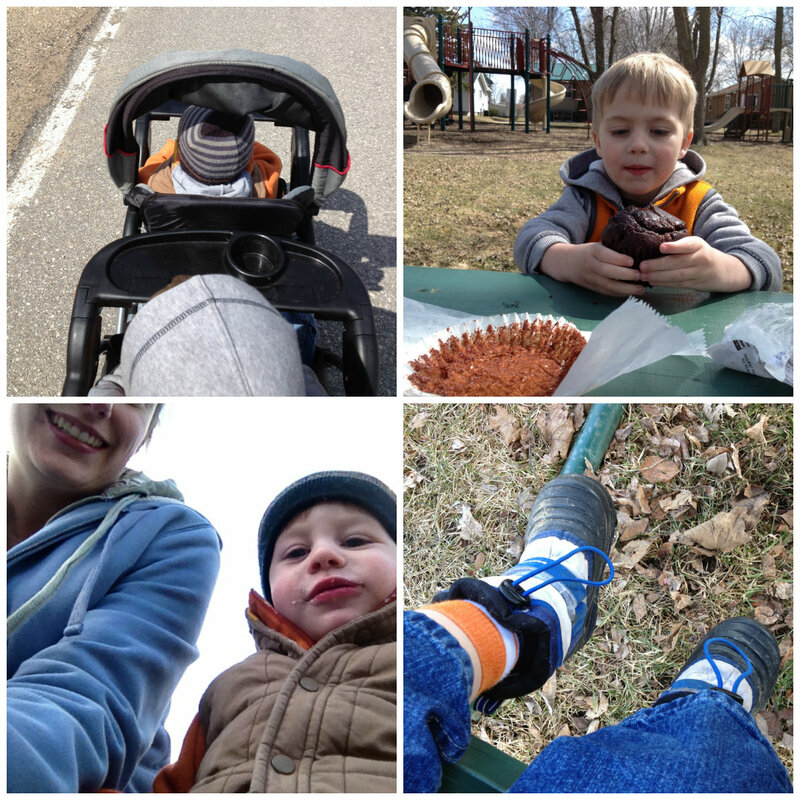 We made the best of it with another van picnic while out and about running errands. 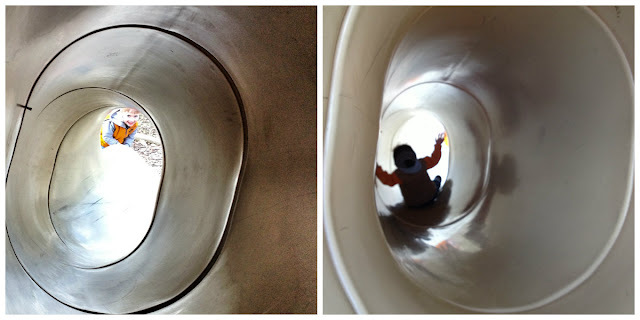 The unseasonably odd weather this spring made it a bit tricky to begin our seasons unit this week. It's a little hard to explain to kids how spring is supposed to be enjoyed outdoors--soaking up the sun, admiring the colorful flowers, the earth emerging from a long, cold winter--when the preceding season decided to stick around far too long. Luckily the weather cooperated later in the week and we actually experienced spring firsthand. He ditched us for a better seat. 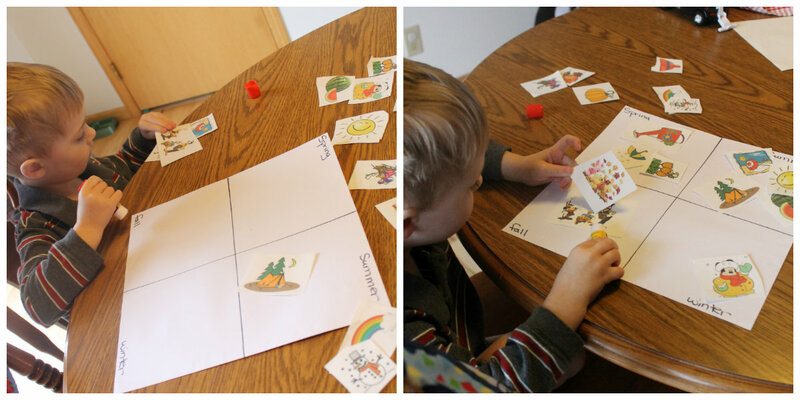 We kicked off our seasons unit by first making a poster and a graph of all four seasons. I printed off clipart and Spencer glued the pictures in the appropriate seasons square of the poster. 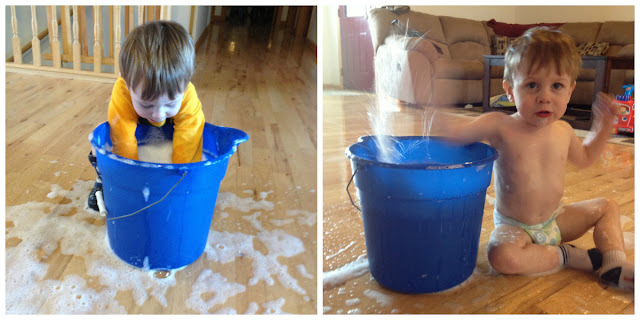 He did most of it without any assistance from me. Ashton colored on a seasons coloring page and then I created a graph out of it. I intended to use this throughout the week, but then, as luck would have it, the extended winter turned to late spring and the inside activities were eagerly abandoned. Although we continued to discuss all four seasons and read books pertaining to all the seasons, the rest of the week was dedicated to spring. 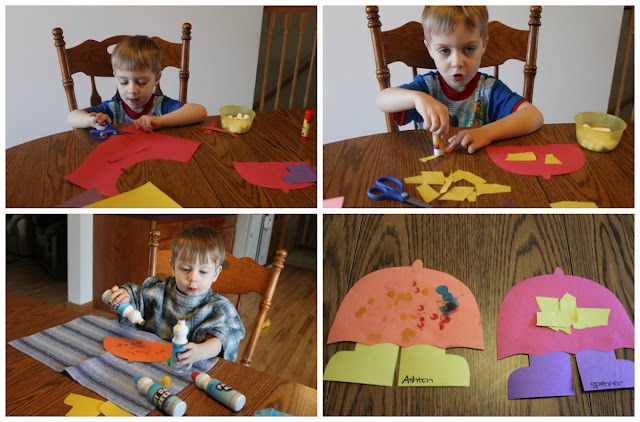 We made flowers and umbrella men. 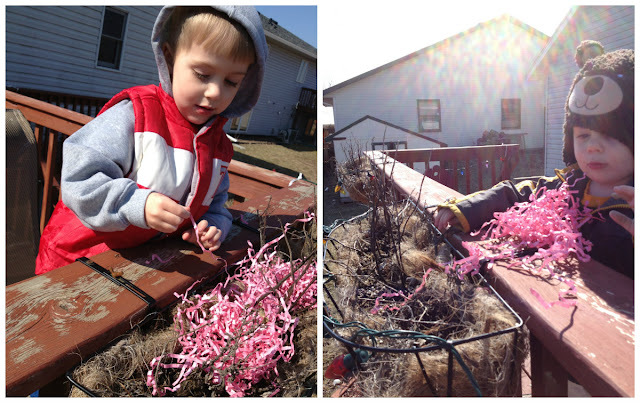 We recycled old Easter basket filling for the birds to create colorful nests with. We keep checking to see if the birds have snatched any of the pink paper yet, but apparently they aren't too very appreciative of our gesture. 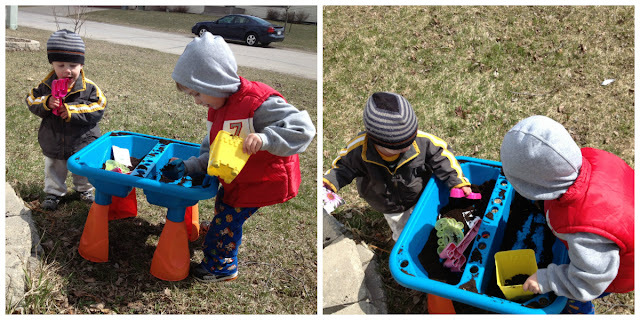 We got our hands dirty by planting some flowers in egg cartons. 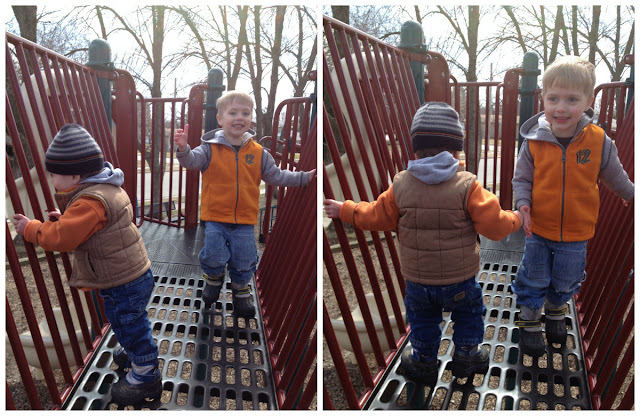 I poured soil into the water table and the boys played. We walked into town, first stopping for a quick treat at the gas station, and then enjoying our first park date since last fall. We ate outside!! No more picnics huddled in the backseat of the van! Not a good mopping helper. At all. Sometimes eating breakfast requires loveys. First spin on the big boy bike outside. Hi, Spring, we love you! !